Enlist as a Spartan soldier and sharpen your tactical skills in battle! Set between the events of Halo 3 and Halo 4, Halo: Spartan Assault, developed by 343 Industries in conjunction with Vanguard Games, is a new chapter within the award-winning Halo universe. Spanning over 30 missions in vibrant, dangerous worlds, dive deeper into the backstory of Human-Covenant wars and the origins of the Spartan Ops program. Play through the eyes of either Commander Sarah Palmer or Spartan Davis in simulation training aboard the UNSC Infinity, as they fight never-before-seen battles against Covenant forces. You can also join with a fellow Spartan in a Co-op battle against the Flood. 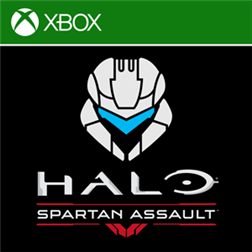 Go in strong with an expanded arsenal that brings you more weapons, more armor abilities, and more upgrades – it’s the ultimate Spartan Assault experience! You can always grab the game on Windows Phone and Windows 8! Written by: Hyde13 on October 29, 2013.